Our times have become increasingly tumultuous. We have undoubtedly entered a new era where the ways we have become accustomed to, are no longer the new norm. Nature is a model that is in constant motion, showing us the way to navigate changing times. Not only to survive, but to thrive. Trees cycle through seasons, shedding the old in order to open to receiving something new and alive. They don’t hold on to what was. In this modeling, we can tune into cycles such as these as a way to remind us that our own lives are constantly in motion, and through allowing life to flow we open up to everyday miracles, to abundance, a higher unfolding that is underway in each of our lives, and within humanity. All of that said, we need new ways of thinking, to release our expectations on what we anticipate based on previous experiences which leave our energy tapped and our being in states of often unmanageable stress. This stress leads to a multitude of uncomfortable outcomes, and we can often times feel “stuck”. We are in need of reprogramming our responses to our changing times, to be in more connectivity with ourselves and all of life around us. At Earth Harmony Wellness, we are aware of this situation in our evolutionary process. We are here in dedicated service to the shifts that are underway. We are feeling them deeply ourselves. And doing the work necessary to learn and to grow. We are here in support of the journey. Part of our mission is to continually strive to being present with the flow of all of life around us, tuning in to what is being presented for our highest and best good. Constantly learning and growing ourselves. Through energy healing and clearing sessions, massage, infrared sauna sessions, meditation and various workshops, guest speakers and teachers, retail tools for mind, body and spirit, we are here to support you in these times. We are excited about supporting others and supporting humanities evolution into a new paradigm. A paradigm that is here to show us that LOVE is what is real, and constant, that there is an interconnectivity of life everywhere. We are not separate from the web of life, and never can be. Each one of us has a specific purpose. We are here to assist in tapping in to that Divine connection that is alive in every one of us. Clearing away all that is not serving in order to stand powerfully in our authentic selves is the passion that drives us forward into co-creating the future we all desire, and the future that desires for us to embrace it! There is work to be done, make no mistake about that. The sooner we accept that and get busy on what our specific part is, the richer our life, and that of those who will come after us, will be. There is a force in nature, inherent in all living things, one we cannot deny or suppress. Let us open the gates and allow this force to show us the way forward! How can we be in service to your journey? Dianne is a gifted and intuitive healer offering many tools for transformation. She is passionate and dedicated to her purpose in helping humanity in the journey to Oneness. Clearing and healing the energy body is the gateway in which she uses to guide others to a deeper level of themselves, releasing what apparently stands in the way of wholeness. She is an ordained minister in the Order of Melchizedek and a focalizer for Divine Feminine wisdom that stands as a powerful path of transformation. She is a workshop facilitator for The Melchizedek Method of holographic healing and a certified Reiki Master. Working “between the worlds” enables Dianne to be present with the physical person while accessing higher dimensions for healing, and guiding others to their own path of transformation. For the past 20 years, she has studied and learned much in the area natural and holistic healing, from working as a Chiropractic assistant learning about the bodies innate healing wisdom, to herbal apprenticeships, essential oils, shadow work, consciousness studies, various forms of energy healing, and more. She has a deep passion for humanities evolution and transformation to a more peaceful and whole world. She is a compassionate and nurturing healer with the ability to hold space for transformation and healing to take place. During a session with Dianne, one is held in a high vibratory field of healing energy enabling clearing to take place. Often she utilizes holy anointing oils, sound and the mineral kingdom, along with spiritual tools accessed from within. Dianne’s ability to hold sacred space, allows her to serve as an effective guide for healing energy and guidance during a session. Life recommendations and tools are often part of the session, enabling her clients to experience shifts in life. 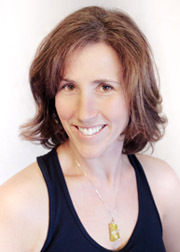 Shelley Macgregor is a compassionate, heart centered healer utilizing various skillsets to support her clients. As a practitioner of the Melchizedek Method of Holographic Healing, Usui Reiki, and the mineral kingdom, Shelley is able to intuitively guide and support her clients in gaining new energy and perspective. Her gentle yet clear guidance assists with shedding layers, focusing on the highest good, bringing her clients back to their heart center and finding their own internal glow. After completing her first Reiki class in 2002, Shelley has continued deepening with her own spiritual connection. 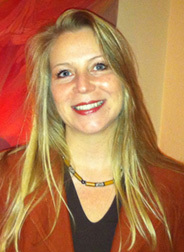 She holds a Masters in Social Work from the University of New England, and is a certified yoga teacher (RYT200hr). Shelley is co-founder of Seacoast Empowerment supporting teens and kids, and is the founder of Pocketful of Bliss, a line of energy infused lifestyle gear reminding us all to embrace life with an open heart and soul! When she is not out sharing her passion and positive energy in her community, Shelley enjoys spending time with her husband, four sons and dog Sandy, hiking, adventure trips to Acadia National Park, practicing Baptiste power yoga, and spending an extraordinary amount of time on baseball sidelines cheering on her boys! John is a shamanic healer, certified level three practitioner of the Melchezedek Method of Holographic Healing, and a certified massage therapist. He graduated from the Salter School for Massage Therapy in 2008. He was subsequently drawn to the path of energy clearing and completed an intensive course of study at Conscious Rebirth University in Dover, NH, and at Earth Harmony Wellness in Wakefield, MA. John's true soul path of shamanism was revealed to him after he experienced a lengthy and intense spiritual initiation and awakening. John specializes in soul retrievals, clearing energy, and restoring balance and harmony to his clients. This is primarily done by identifying the client’s original woundings, rewriting old patterns through a process called “illumination,” retrieval of power animal helping spirits, and soul retrievals. John is also available to energetically clear homes, land, and businesses of unwanted negative energies. Workshops on shamanic journeying, soul retrieval, and power animal retrieval are offered for groups or on a one-on-one basis. Earth Harmony Wellness is a proud and committed supporter of The Conscious Business Declaration. As we evolve to a higher level of citizenship and being in the world, we recognize old, outdated modes of functioning can no longer sustain as at the higher level.